Have two or three days and a small budget to explore the French way of life by visiting its most famous cities? Easy, if you’re organised! To begin with, head for Paris, the city of light. Four different environments for day 1: begin with a visit to Montmartre. Built at the top of a hill, the basilica gazes down on a beautiful panorama of the capital. It is a lovely area to stroll around, with a picturesque, village-like feel. From here you can proceed to the Boulevard Haussmann with its large department stores, temples of shopping: two miles of pure Parisian elegance leading all the way to the Parc Monceau, regarded as one of the loveliest parks in Paris. The day ends at the Trocadéro and its gardens laid out in the English style, with a view of the Eiffel Tower. Art lovers will also enjoy the opportunity to look around the Museum of Modern Art. On another day take a river cruise! What would Paris be without the River Seine and its romantic riverside walks? Discover Paris’s famous buildings from a different angle. You can also walk along the riverside, through the Tuileries Garden and on to the Louvre museum of art and antiquities, or off to the Saint Germain des Près area on the left bank of the Seine. The Café de Flore, the Vieux Magot and the Brasserie Lipp are legendary eateries, time-honoured resorts of intellectuals and philosophers in the 1950s. If you love culture, keep going till you reach the Odéon: arty, experimental cinemas, art galleries, bookstores, cafés, restaurants and little shops – all make this a lively place to be. For something calmer, relax in the Jardin du Luxembourg. A new atmosphere for your third day, in areas very suitable for pedestrians. Yesterday “the belly of Paris”; today temple of fashion, the eclectic district known as the Halles. Rue Montorgueil, Rue Quinquempoix, the Pompidou Centre (museum of modern art), Saint Eustache’s church, the stock exchange and the Jardin Nelson Mandela (garden): lose yourself in these places and let the crowds carry you along. Then come down to earth in the Marais, where history rubs shoulders with modern trends. Mingling with the bars, cafés, restaurants and other places of entertainment that enliven these streets, you will also find designer shops and contemporary art galleries. And why not get around Paris in a more unusual way – electric bike? While you’re in Paris, try some Ile-de-France specialities: the ham and butter sandwich, the Paris-Brest (a cream pastry), the croque-monsieur (a fried ham and cheese sandwich), the croissant, the flan parisien (French custard pie), the famous blanquette (veal stew) and the œuf mayo (hard-boiled egg and mayonnaise). Look in at a Paris brasserie (café serving light meals and beer) – they’re a Paris institution! 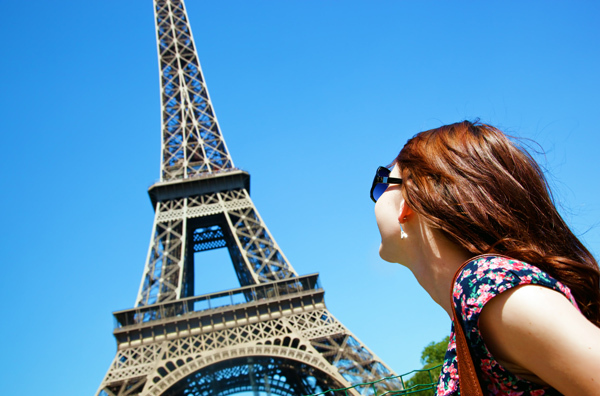 Paris offers many free deals, so you can visit the capital even on a limited budget! You’ll remember Paris as one of France’s many delights: Lyon for food; Marseille the multicultural. 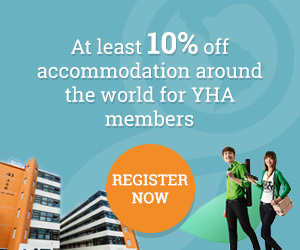 Be a member of the YHA and reserve a youth hostel in Paris right away!